"Malcolm doesn't like animals, which is a problem because his family loves them. Their house is full of pets. 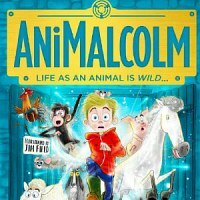 After a bizarre school trip unlike any other, Malcolm begins to understand animals more deeply than anyone. But will he end up the same as before? Because sometimes the hardest thing to be is...you. A vibrant, energetic and gloriously funny new musical comedy from the award-winning Story Pocket Theatre. ANiMALCOLM combines physical theatre, puppetry and the company's outstanding storytelling style to bring David Baddiel's magical and wonderfully comic story to the stage."